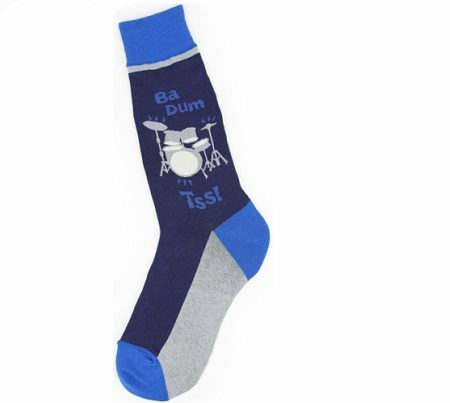 Men’s Drumset Socks – Show off your drumming passion with these fun and unique drum socks! If you’re in need of a unique gift that will bring a smile to their face, these drumset socks might just be the ticket! Great for a birthday or Christmas gift. Fits Men’s shoe sizes 7-17. Made of 65% cotton, 15% polyester, and 5% spandex. One pair.